Even though Radio­head hasn’t released any new albums since 2007’s mas­ter­piece In Rain­bows, it was still a sur­prise to see the band’s Valentine’s Day announce­ment of their newest release, The King of Limbs. Giv­en the high bar set by the band’s last album (not to men­tion the rest of their cat­a­log), The King of Limbs has a lot of expec­ta­tions to ful­fill. It doesn’t quite ful­fill them all; how­ev­er, it is quite a unique album, both in gen­er­al, and for Radio­head specif­i­cal­ly. Radio­head seems to have tak­en The King of Limbs as an oppor­tu­ni­ty to exper­i­ment - sig­nif­i­cant­ly more than any­thing that could be con­sid­ered nor­mal for Radio­head, and this has its advan­tages and dis­ad­van­tages. Most notably, the sounds of The King of Limbs, slow, some­what form­less, and almost pri­mal, are absolute­ly unique; this is not an album that could by any means be con­fused with one of Radiohead’s oth­ers. At the same time, once Radio­head lays out the album’s mood, there’s not all that much left to do. Not too much thought seems to have gone into The King of Limbs, and that’s an espe­cial­ly large prob­lem for a more exper­i­men­tal album. The end result is immense­ly repet­i­tive, and while that works to some degree on the bet­ter tracks, like “Morn­ing Mr. Mag­pie,” rep­e­ti­tion and mood com­pete on much of The King of Limbs, with rep­e­ti­tion win­ning far too often. The album is then left to rely pri­mar­i­ly on the unfor­tu­nate­ly sparse vocals to pull it along. Luck­i­ly, Thom Yorke’s vocals on The King of Limbs are in absolute­ly top form. Simul­ta­ne­ous­ly pen­sive and direct, Yorke directs the music with his voice, giv­ing the album, and indeed much of Radiohead’s music, its unique feel. Giv­en the promi­nent posi­tion that Yorke’s voice takes, it’s even more reward­ing when instru­men­tals and effects alike fall into place to com­ple­ment it per­fect­ly. Even bet­ter, Yorke’s voice isn’t only suc­cess­ful when he’s singing the occa­sion­al­ly strange lyrics towards which Radio­head tends. Instead, when Yorke uses his voice as an instru­ment as well as the dri­ving force of the music, as he does near the end of “Give Up the Ghost,” it’s just as suc­cess­ful, lend­ing an ethe­re­al qual­i­ty to the music. 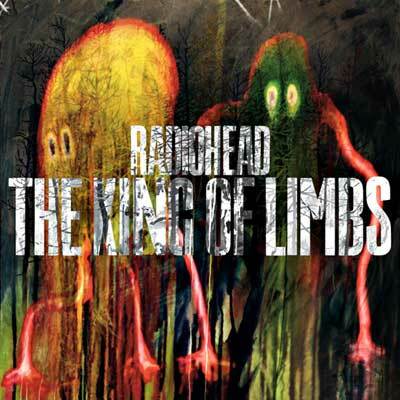 On top of Yorke’s exem­plary vocals are laid the equal­ly well-put-togeth­er lyrics of The King of Limbs. Intro­spec­tive, metaphor-laden, and gor­geous­ly poet­ic, the lyrics change tone with the same flu­id­i­ty as does the music, cre­at­ing a care­ful­ly var­ied effect that lends deep mean­ing to every moment. From “Morn­ing Mr Mag­pie“ ‘s sim­ple exchange “Good morn­ing Mr Mag­pie / How are we today? / And now you stole it, all the mag­ic / Took my melody” to the more com­plex metaphor of “Sep­a­ra­tor,” where Yorke talks about “falling off the giant bird that’s been car­ry­ing me,” The King of Limbs nev­er ceas­es to be entire­ly engross­ing. The King of Limbs has excel­lent poten­tial, but it is marred by some­what thought­less con­struc­tion. Giv­en that this is not only Radio­head, but their first album since 2007, the flaws are fair­ly inex­cus­able. The King of Limbs is a good album, but it had much greater poten­tial. It exposed an area that Radio­head had bare­ly, if ever, touched, but it did lit­tle to delve into it. With any luck Radio­head will devel­op the sound fur­ther, although it might take anoth­er few years.